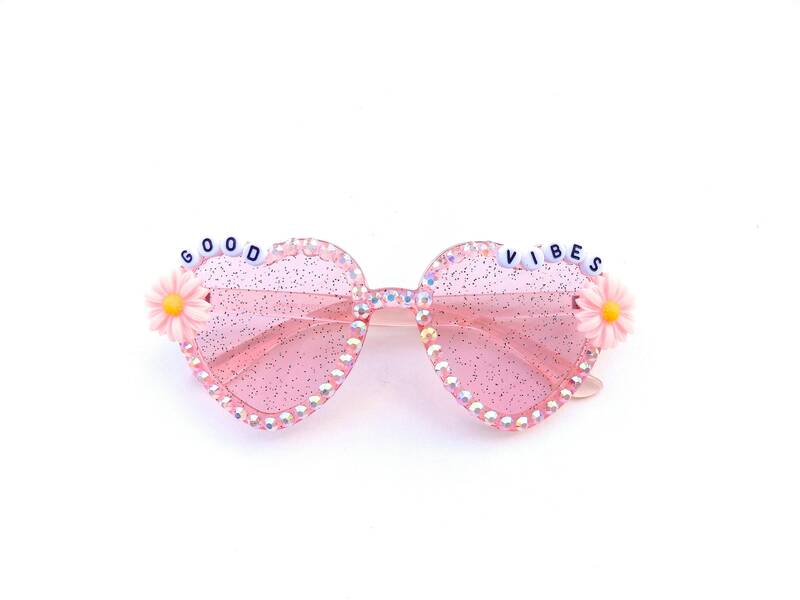 These groovy heart-shaped glasses have been decorated with the words "Good Vibes" and a pink daisy on each side. 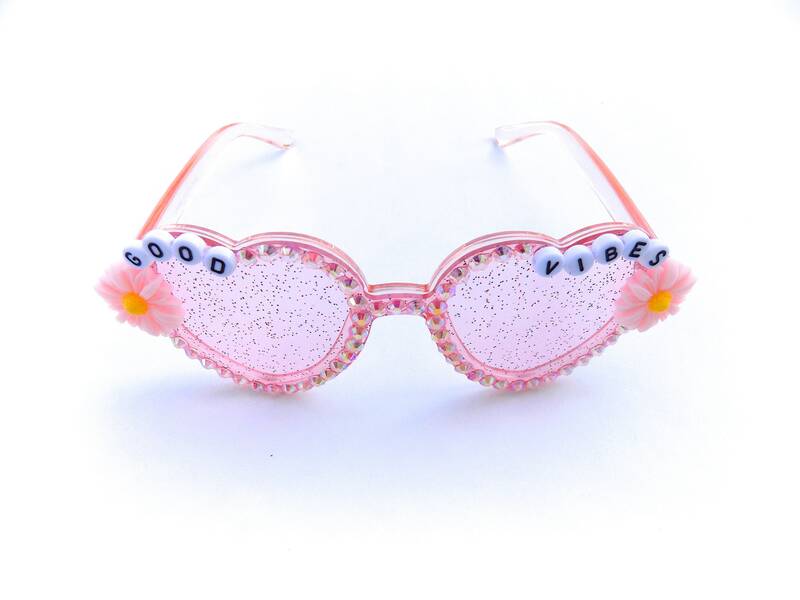 Iridescent rhinestones encircle each lens. 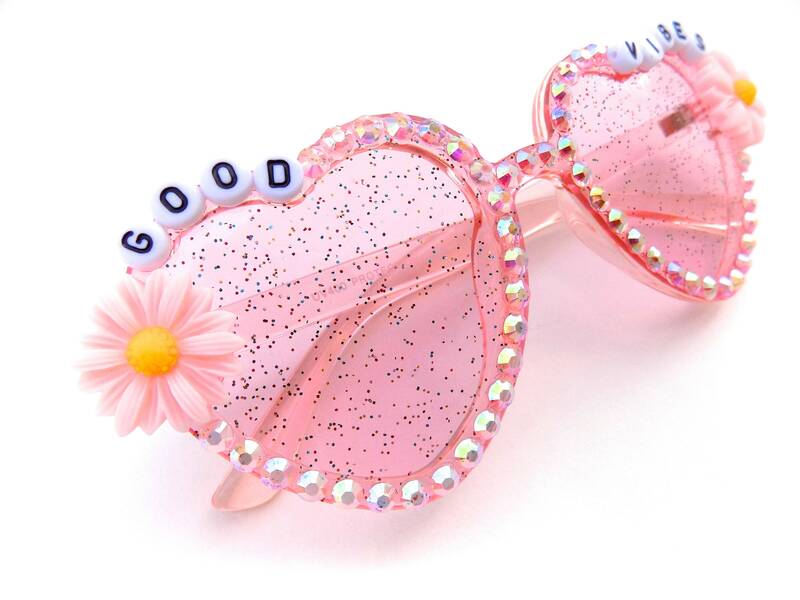 Frames are translucent pink plastic with pink GLITTER LENSES! 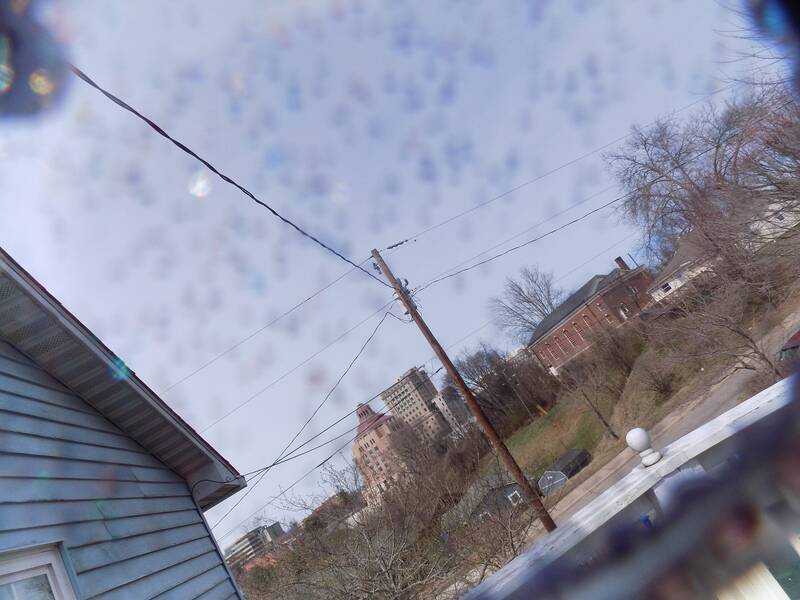 The glitter is lightly visible while being worn but is not too intrusive (see last photo; different color lens). All decorations have been fastened securely using industrial strength glue; built to last!